"She seemed so happy to see me ... she thrived on company, even from another species." Last year, Fiona Presly formed an unlikely friendship she won't soon forget. 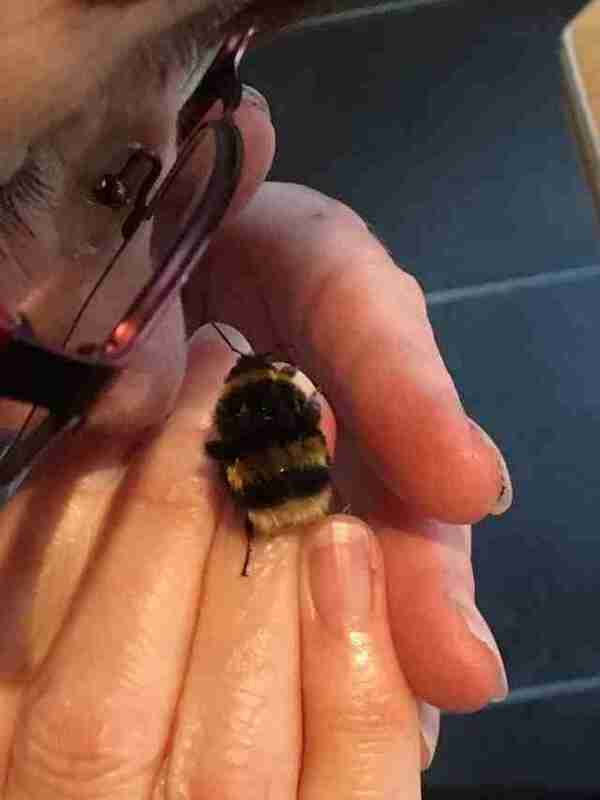 While gardening outside her home in Scotland at the beginning of spring, Presly noticed a queen bumblebee at her feet, seeming quite cold and disoriented. Afraid the little insect might get stepped on, she stooped down to place the bee on a flower — not knowing at the time that this queen wasn't like the rest. "I picked her up and noticed there was something peculiar," Presly told The Dodo. "She had no wings." 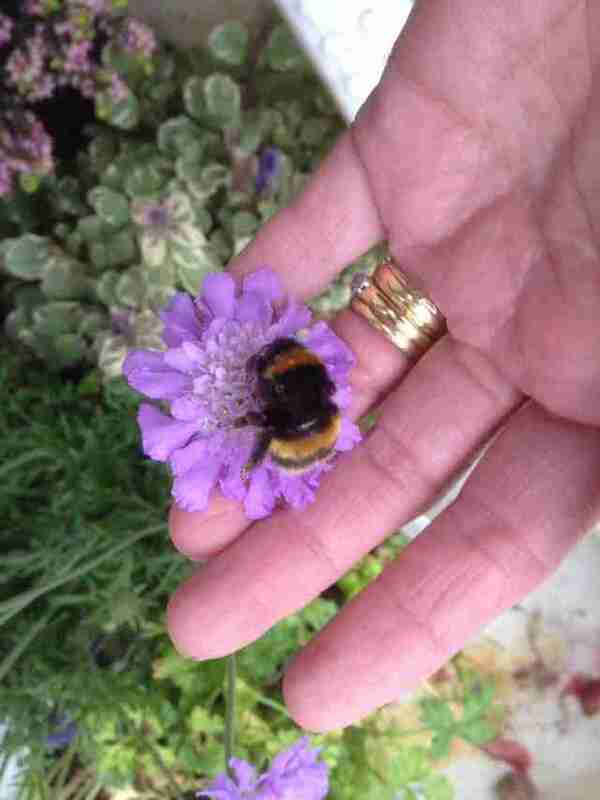 Unsure of how else to help, Presly offered the bee some sugar water and set her on some flowering heather, hoping she would be able to manage on her own. Upon checking the spot a few hours later, however, she discovered that the bee hadn't moved. To make matters worse, a heavy storm was about to start — so Presly went one step further. "I took her inside that night, kept her warm and fed her more," she said. 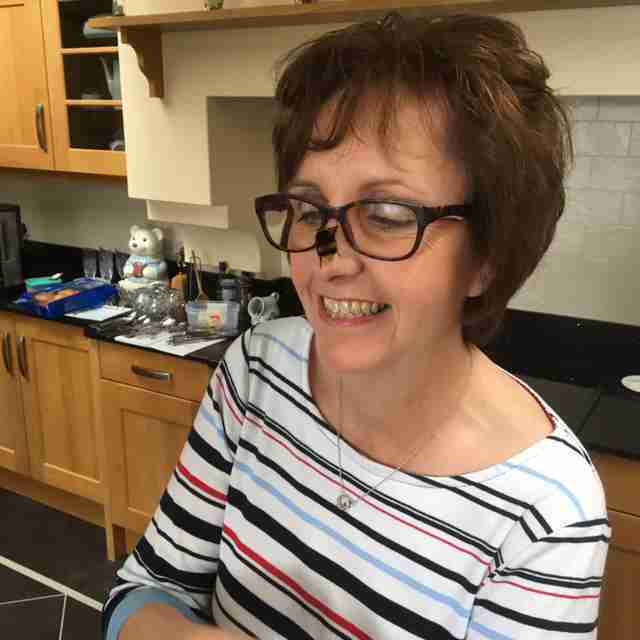 "I thought I would put her out the next day, but the weather was bad then too. So I kept her inside." 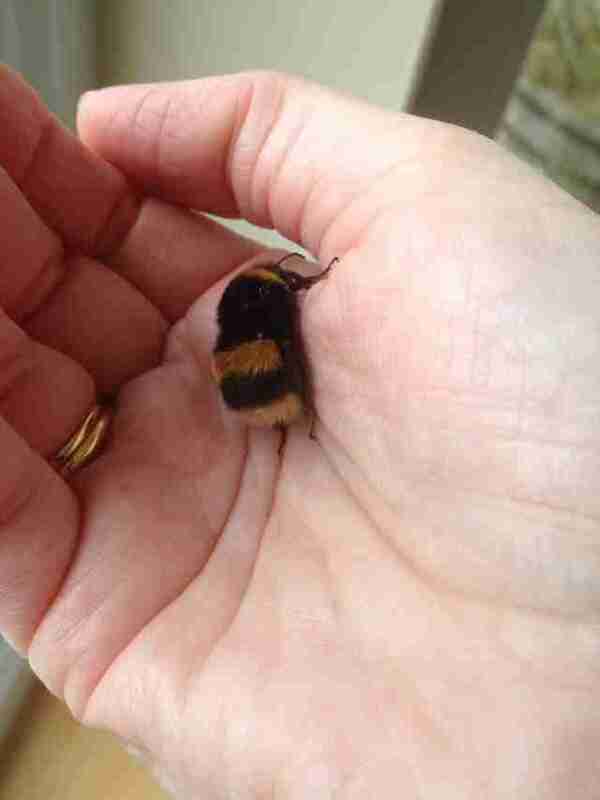 Presly contacted the Bumblebee Conservation Trust for help and came to learn that the bee likely had a virus known to cause problems in wing development. The queen's chances of survival in the wild were slim without the ability to fly. 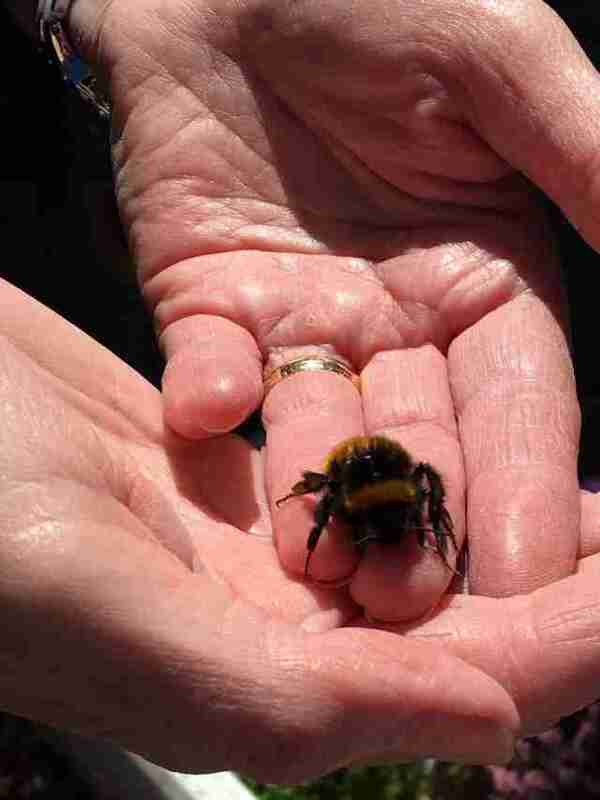 But seeing that the bee was otherwise healthy, Presly decided to give her a chance to live. And that meant getting creative. "I made a garden for her," Presly said. Since the bee, now formally named Bee, would have to walk from flower to flower to feed, Presly built her a private floral buffet. 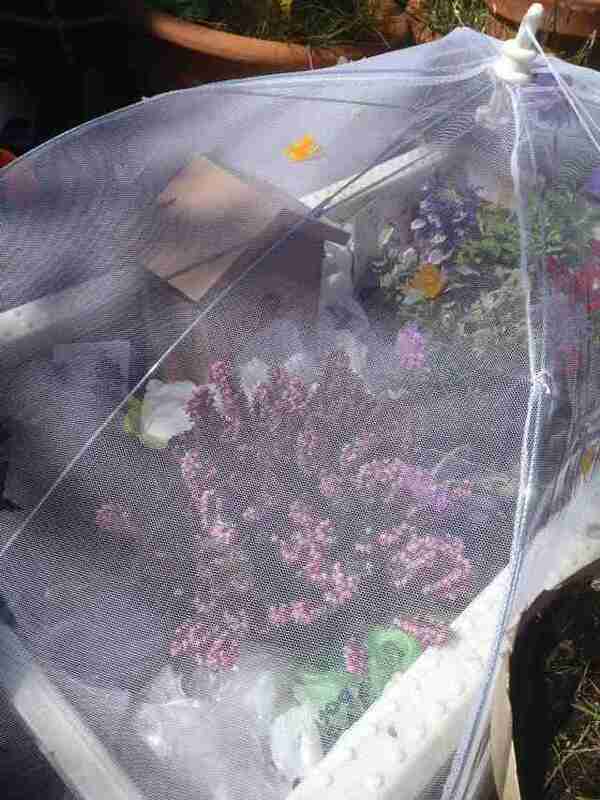 Using some netting, she built Bee an enclosure full of blossoms where her winged counterparts couldn't reach to deplete the pollen. Bee now had it good. 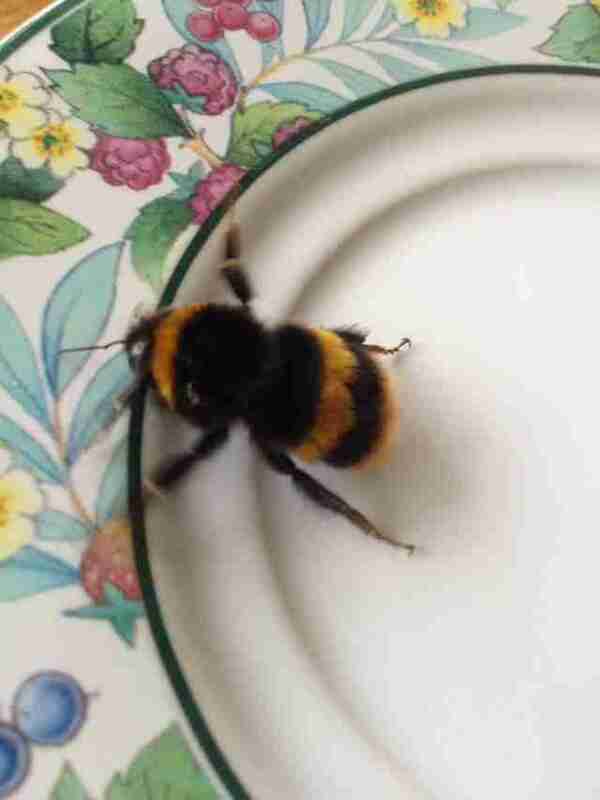 Presly continued to check on Bee daily, bringing her tiny cups of sugar water if she seemed lethargic and carrying her indoors if the weather turned sour. Little could Presly have guessed that a remarkable bond would soon form between her and that fuzzy bug she rescued. Eventually, each time Presly would drop by the enclosed garden, something unexpected began happening — Bee would eagerly emerge from the foliage to greet her. "She'd walk toward me and crawl on my hand," Presly said. "She seemed so happy to see me. It made me stop and think — there’s something going on here." For reasons that Presly couldn't explain, Bee seemed to genuinely enjoy being in contact with her. She seemed to light up whenever Presly was around to hold her. "It was like her whole being came to life. I think she liked the fact that she wasn’t alone," Presly said. "I think she thrived on company, even from another species. They are naturally sociable creatures. That would be in their instinct." Presly was likewise smitten with Bee, who seemed to regard her as a real friend. "We were quite comfortable with each other," she said. 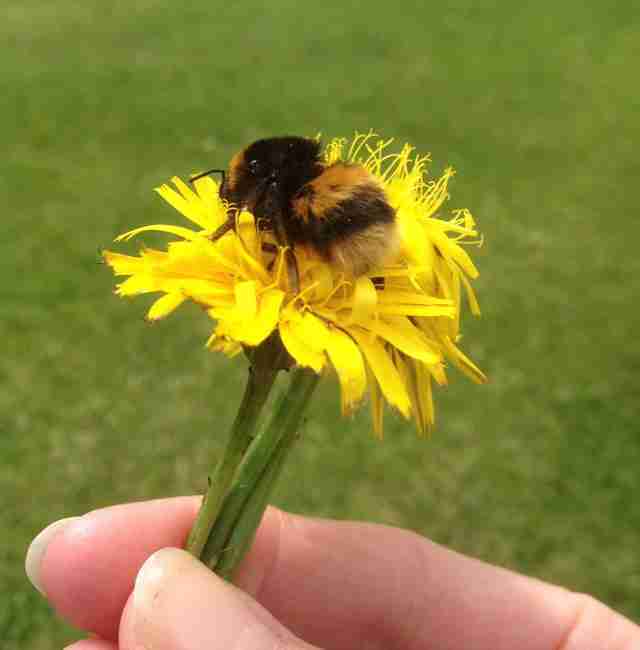 "There were things going on with this bee that were quite something." 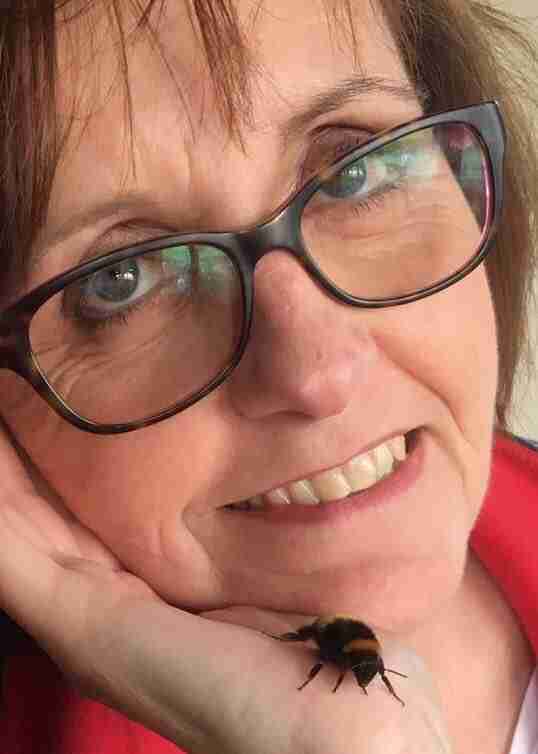 To Presly's family and friends, it was clear that she and Bee were bonded. Normally, a queen bumblebee would spend the spring and summer building a nest, mating and starting a colony — finally dying at the approach of autumn. Under Presly's care, Bee had outlived them all. But her time eventually ran out. 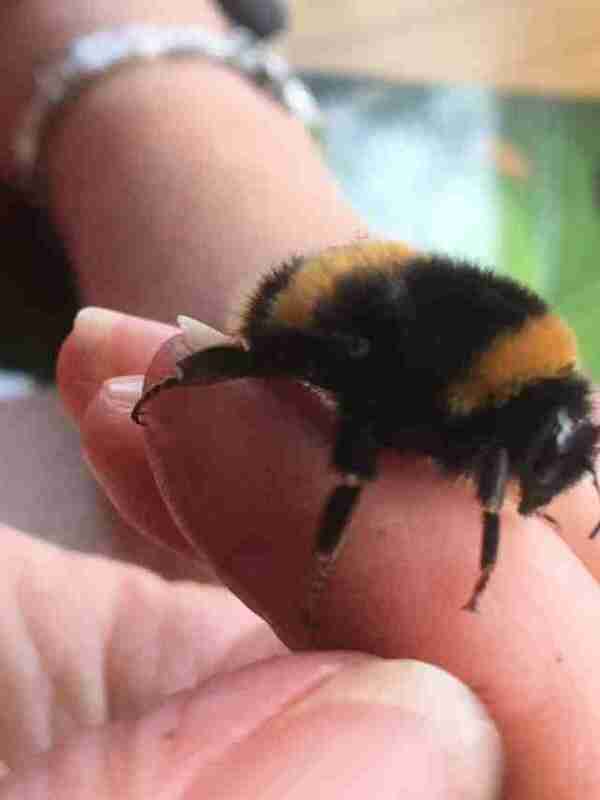 Five months after being rescued, Bee fell asleep in Presly's hand and never woke up again. "I was sad when she died, but I knew it was going to happen. She was already older than she should have been," Presley said. 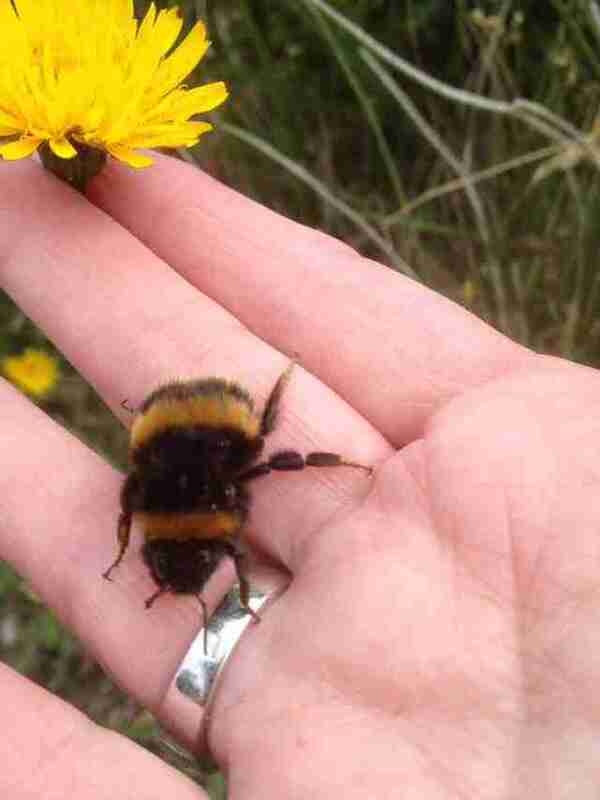 "It had been very special to stay with a wee creature, like Bee. The fact that she lived more than just a few weeks amazed me. That was rewarding in itself." 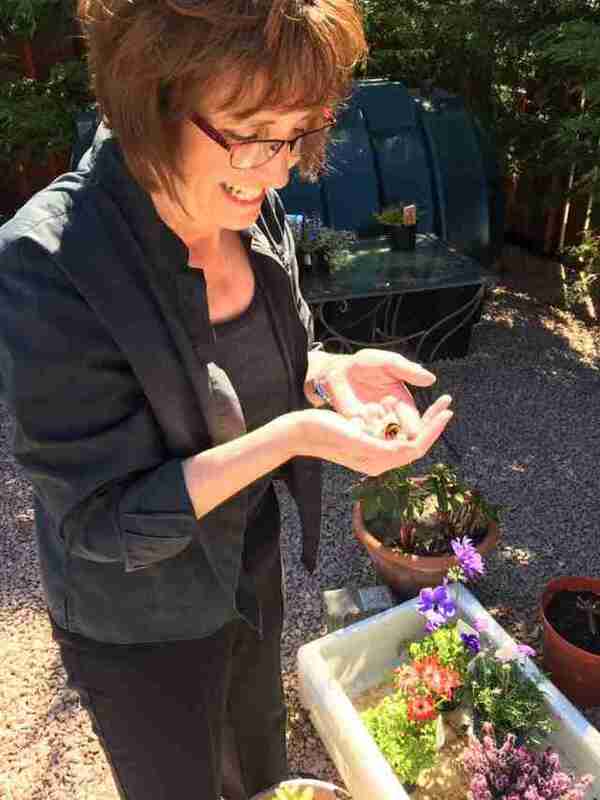 Afterward, Presly buried Bee's body in her garden — joined by a favorite flower. Presly's experience with Bee, and the magical bond they formed, was unexpected — but it's opened her eyes to the notion that the world may be more filled with feelings than most people realize. "Now I view all insects in a different light. 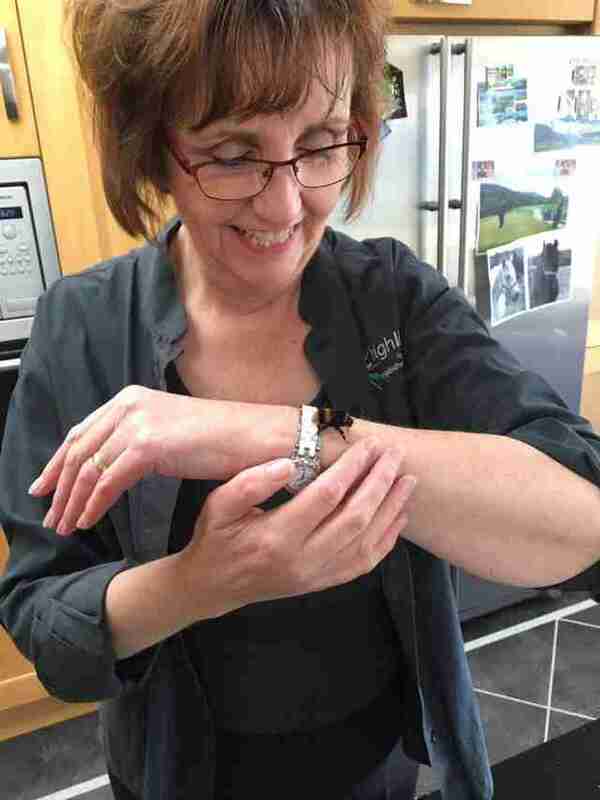 It’s changed my perception of what insects are like," she said. "I think there’s an awful lot we don’t know." Though Presly admits she doesn't know what Bee actually felt in her little heart, she suspects there might be something to learn from their time together. So, she contacted Lars Chittka, professor of sensory and behavioral ecology at Queen Mary University of London, with her account. "Sometimes it takes an outsider’s careful observations, such as Mrs. Presly’s, to generate fresh views and prompt important questions."